Most people would agree that playing the Wii is a social experience, and it is always fun to have some friends and family over to sweat it out with each other. 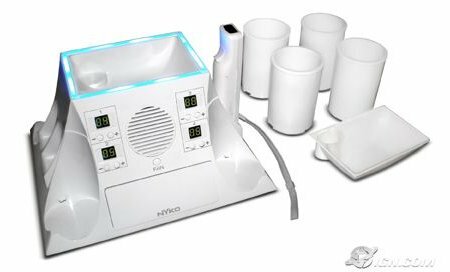 What better way to hold a Wii party than to have the Nyko Party Station? This unique peripheral is meant to sit in the middle of your living room, featuring slots for 4 Wiimotes, a storage drawer for Wii accessories, a hand cooling fan, 4 numeric LED displays for group scores, 4 freezable cup holders, and get this – a center bowl with enough room to store chips and snacks for everyone. I guess having clean Wiimotes after snacking on some Doritos and Lays is out of the question. The Nyko Party Station retails for $24.99. The world’s fastest Internet connection – owned by and old woman!